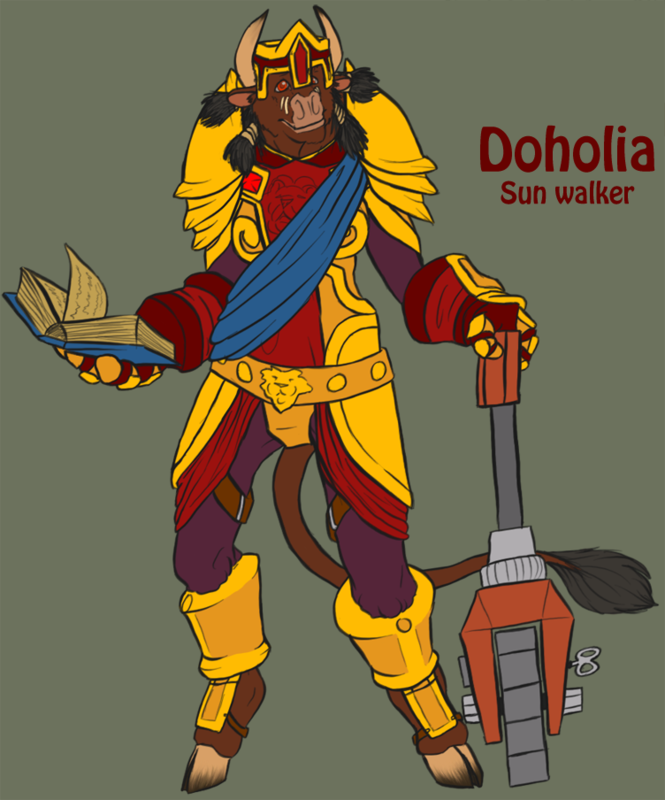 This is Doholia my pally I never had to much time to play. I have a belf pally I focus on so she was kind of a back burner deal. Still I love the story I came up for here and my friends tauren Priest. They where just sun walker sisters that focused on pvp. Anyway I think I am almost rid of the sketches that I had done now. Some other stuff I am working on will post soon. As for her colour just flat brown all over, nothing to special about any of my tauren really :P I guess I am one for simplicity.